Authentic Turquoise jewelry from Durango Silver Company is trusted Real, Made in the USA, Handcrafted and guaranteed to be high quality authentic Southwest Silver Jewelry! We have been in the Turquoise Jewelry business for over 40 years and have had our Trading Post in Durango, Colorado since 1976, we have produced and handled authentic Turquoise Jewelry the entire time we have been in business. Our personal and business goals have always been to have the highest qualityauthentic Turquoise Jewelry possible for our customers. We have been leaders in maintaining the integrity of the Turquoise Jewelry industry by mining, cutting and dealing in authentic high quality American Turquoise. 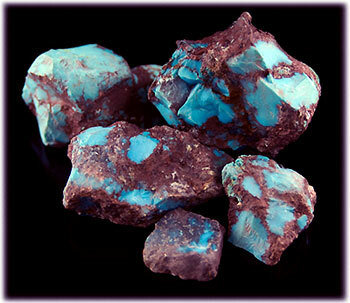 We own several Turquoise Mines in Nevada and have mined with many of the historic Turquoise Miners of the past. Authenticity of Turquoise and Turquoise Jewelry is very important to us and we will always handle nothing but Authentic Turquoise Jewelry. Check out our presentation page on Turquoise Jewelry where you will find a bunch of good Turquoise Jewelry and educational information on Turquoise Jewelry. Durango Silver Company produces authentic American Turquoise Jewelry as well as authentic American Turquoise such as the Sterling Silver Turquoise Ring to the right featuring a American Turquoise Gemstone from the Morenci Turquoise Mine in Morenci, Arizona. 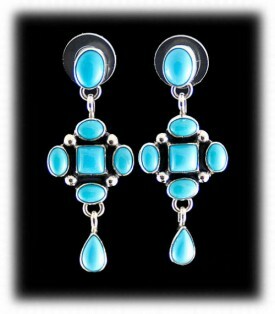 It is important for Americans to buy Authentic American Turquoise Jewelry as it is one of our great American heritages. The Western American Frontier years of the past are very historic and one of the great events of the past was the Native American Indians of the Southwest learning and developing the Southwest Jewelry industry. It was in 1865 when a Navajo Blacksmith named Atsidi Sani learned how to make Silver Jewelry from the Spaniards when they were in this area on a quest for Silver and Gold. 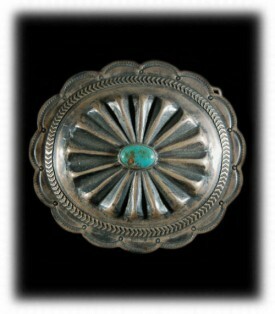 Shortly after Atsidi Sani began making Southwest Silver, he introduced Turquoise Jewelry and thus began authentic American Turquoise Jewelry, this was about 1870. For over one hundred years the Native American Indians as well as other Southwestern Artisans and Southwest Silver produces continued making authentic American Turquoise Jewelry. It is just been in the recent years that Turquoise Jewelry from other areas of the world has been introduced to the American market, it is important to many, us included, that individuals realize the difference from Authentic American Turquoise Jewelry and fashion Turquoise Jewelry that is cheaply made to take advantage of a good market. 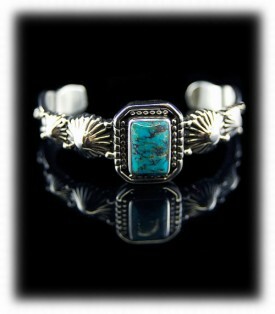 Durango Silver Company produces Authentic American Turquoise Jewelry. See our presentation on American Jewelry. 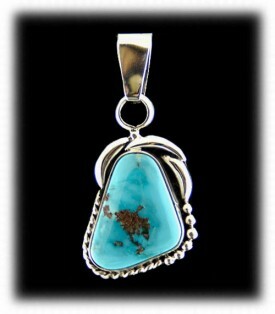 Authentic Handmade Turquoise Jewelry from Durango Silver Company is just what you get when you deal with our company. We produce Handmade Turquoise Jewelry as well as trade in Native American handmade Turquoise Jewelry of unquestionable quality. We own several Turquoise Mines in Nevada, we mine, cut and collect American Turquoise and we use it in the Authentic Handmade Turquoise Jewelry that we produce. To the left is an authentic handmade Navajo Turquoise Bracelet made with Sleeping Beauty Turquoise which is authentic American Turquoise from Arizona. 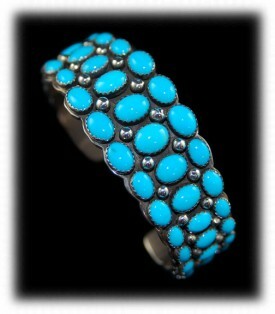 This is a high quality Turquoise Bracelet made in the USA by a Navajo Native American Indian - this is a great example of the type of Authentic handmade Turquoise Jewelry that you will find in the Durango Silver Company Southwest Silver Gallery in Durango, Colorado as well as our Online Silver Gallery. The Native American Indians of the Southwest played and important part in the history of the great American Frontier. It is important to recognize that handmade Turquoise Jewelry from the American Southwest has been an intricate part of the American Frontier movement and has become an American heritage. Durango Silver Company has created many educational pages on the history the present day aspects of Authentic handmade Turquoise Jewelry, we invite you to read some of them by going to our Learning Center and choosing a story of your choice. The Navajo and Zuni Native American Indians have been making what we considerAuthentic Native American Indian Jewelry for over 150 years now. Sterling Silver is the precious metal of choice, however, authentic Native American Indian Jewelryhas also been made as well. Turquoise is the gemstone of choice for the Southwestern Native American Indians and they have worn Turquoise for over a Thousand years. To the right is a classic Native American Indian Turquoise Necklace handmade in Sterling Silver and blue Arizona Turquoise. The majority of the Authentic Indian Turquoise Jewelry made by the Navajo and Zuni Indians is blue Turquoise Jewelry, they also make green Turquoise Jewelry from Nevada Turquoise well. The Zuni Indians are known for their beautiful lapidary work in which they create Needlepoint Jewelry, Petit Point Jewelry and Inlay Jewelry. The Navajo Indians are famous for their Silver work, they do a lot of tooling and stamp work on their Silver. The Navajo also do some of the finest gemstone inlay work coming out of the Southwest today.Authentic Navajo Jewelry as well as Authentic Zuni Jewelry are both part of our American heritage and have had a very colorful past in western American history. Durango Silver Company has worked directly with Native American Indian Silversmiths for over 40 years and we believe we offer some of the best Authentic Native American Indian Jewelry coming out of the Southwest today, we invite you to take a look at what we have to offer online by selecting a category of your choice to the left side of this page. 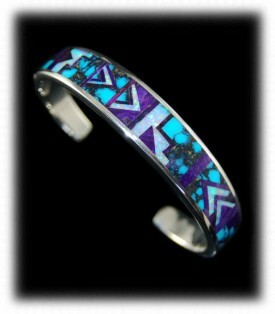 The Southwest Silver Inlay Bracelet to the left is a great example of Southwest Silver. Southwest Silver Jewelry is some of the most popular Silver Jewelry in the world. Because Southwest Silver Jewelry has become popular worldwide it is now being made in many other parts of the world. There is a big difference between Authentic Southwest Silver and copies made in China or any other country. Authentic Southwest Silver Jewelry is generally handmade and authentic gemstones are used, where as imitation Southwest Silver Jewelry is machine made with imitation gemstones. With this in mind, Authentic Southwest Silver Jewelry is substantially higher in cost and there is a good reason for it! 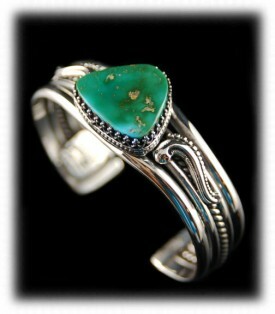 Durango Silver Company produces high quality Southwest Jewelry and Southwest Turquoise Jewelry. 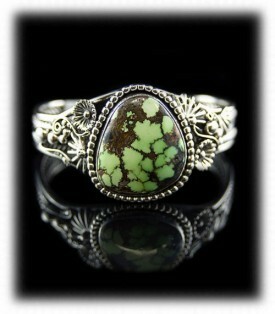 We use authentic Turquoise and other gemstones in our Silver Jewelry and the Silver work in our Jewelry is exceptional. We do not claim to have inexpensive Jewelry and we do not handle imported or imitation Southwest Jewelry. Quality handcrafted authentic Southwest Silver Jewelry is our Specialty at Durango Silver Company, we invite you to take a look at what we have to offer if you appreciate quality Silver Jewelry from the Southwestern USA. Also seeSouthwestern Silver Jewelry. 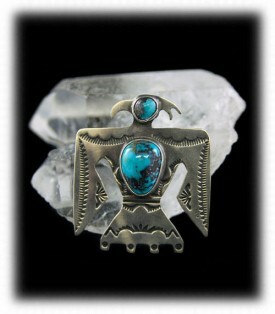 Authentic Turquoise is one of our greatest interests here at Durango Silver Company. We are leaders in the United States for producing and handling authentic American Turquoise Jewelry with exceptional authentic Turquoise gemstones. We have been active American Turquoise collectors for well over 40 years and have amassed one of the most important authentic natural Turquoise collections in the world. We own one of the largest Bisbee Turquoise collections in the world which is the most important Turquoise ever taken out of the ground. We mine Turquoise from our ownTurquoise Mines in Nevada and we hand cut most of the authentic Turquoise gemstones used in the Silver Jewelry we offer to our customers. 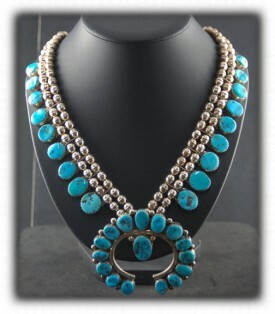 It is undisputed among American Indian Jewelry dealers that the Jewelry produced by Durango Silver Company is some of the best Authentic Turquoise Jewelry made in the USA! Cheap Turquoise Jewelry is quickly becoming a thing of the past as the cost of Silver in August of 2011 has exceeded $40.00 per ounce, it was in the $6.00 range less than two years ago. Turquoise production in the United State has nearly come to a halt due to mining restrictions and the Chinese flooding the market with their Turquoise. Today, the Chinese have realized they have depleted their quality Turquoise and have reduced the mining of Turquoise almost to a close. As a result, authentic Turquoise has gone up in value exponentially, in fact, quality authentic Turquoise has gone up 300% in the past year. With this said, the only cheap Turquoise Jewelry being made today is Fake Turquoise Jewelry or machine made imported costume Turquoise Jewelry that is being imported from China, Korea, Philippines, India and other foreign countries. You can find this type of Jewelry on E-bay, department stores, Costco, Flea Markets and so on. Be careful buying Cheap Turquoise Jewelry as most often the Turquoise is dyed chalk or plastic and the Silver is pot metal. 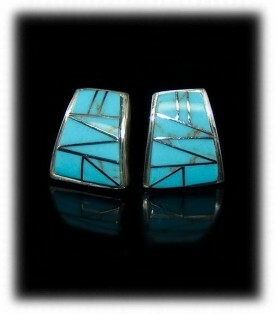 Take a look at our Fake Turquoise page. Above and to the left is an authentic handmade Sterling Silver and Turquoise Bracelet from Durango Silver Company. It is fairly easy to see that this is a one of a kind Silver Bracelet with outstanding Silverwork. You can go to its presentation page to read more. This bright lime green Turquoise Bracelet is also a one of a kind produced by Durango Silver Company. Certainly you can tell that this is no production piece as the design is not consistent at it would be if it was machine made. To the left is a Navajo handmade Silver Eagle Pin with two Bisbee Turquoise gemstones. This pin has hand stamped Silver and irregular shape gemstones, we call them freeform cabochons. To the right is a Vintage Navajo Concho that has been turned into a belt buckle. Notice the unusual stamp work along with the patina or oxidation of the Silver, this is an authentic old Silver Buckle. To the left is a pair of authentic Navajo Cluster Earrings with Sleeping Beauty Turquoise Gemstones. To the right is a pair of authentic Zuni Inlayed Earrings. Both of these pair of earrings are Native American Indian handmade and 100% authentic Turquoise Jewelry from the Southwestern Usa. 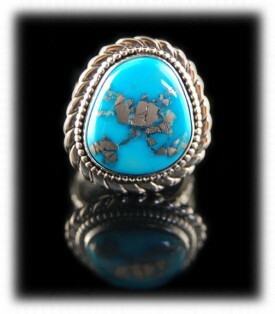 To the left is a authentic Mens Turquoise Ring produced by Durango Silver Company. 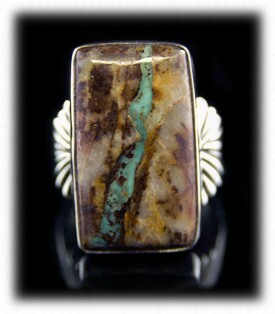 Dillon Hartman cut this Boulder Turquoise Gemstone and then John Hartman set it is Sterling Silver. Boulder Turquoise is quite unusual and each Boulder Turquoise Gemstone is completely different from another, Boulder Turquoise displays how the Turquoise runs in the host rock in its natural state. To the right is an authentic Royston Turquoise Ring produced by Durango Silver Company. John and Dillon are good friends with the Otteson's who own the Royston Turquoise Mine in Tonopah, Nevada. We get high grade natural Royston Turquoise from the Otteson's and we hand cut each of the gemstones that we set or have set in our one of a kind authentic Sterling Silver Jewelry. To the left is a Navajo handmade blue Turquoise Pendant. 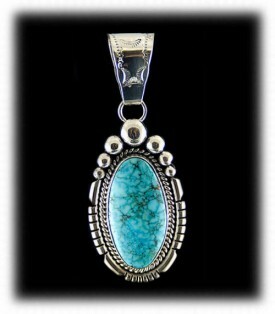 This is an authentic Turquoise Pendant that was made here in the Southwestern USA. To the right is another blue Turquoise Pendant that was made by John Hartman of Durango Silver Company. Both of these Turquoise Pendants are good examples of authentic Turquoise Jewelry, you can see more by clicking of the Pendant button to the left side of this page. 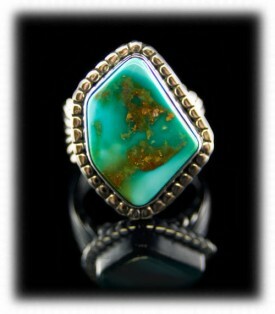 We hope you have gained some useful knowledge from our Authentic Turquoise Jewelry educational page. We invite you to learn more about Silver Jewelry, Indian Jewelry and Turquoise Jewelry by following the links in our Learning Center which has many other informational pages that we have written on topics related to Authentic Silver Jewelry. In addition, we would like to invite you to join our E-Mail Newsletter - about once every other month we send out a Newsletter to inform our members of what's happening at Durango Silver Company, new products, specials for our members only and more. We also have a monthly drawing from our members to Giveawayfree Turquoise Jewelry from our company. Please take a moment to become one of our friends and future winners in our giveaway by signing in below. We hope you will think of Durango Silver Company when you consider Authentic Turquoise Jewelry now and into the future.